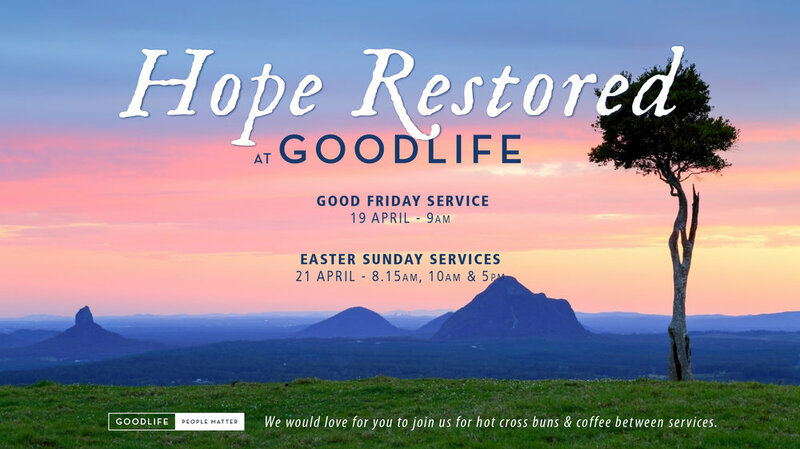 Goodlife Community Church is a gathering of people from a broad cross section of our community who desire to explore what it means to have relationship with God and one another. As Christians we believe that God is the creator of life and that he delights in our discovery of his love for us and his purposes for us. We believe that his love and his design for life is revealed in Jesus Christ. We work hard to create an atmosphere that is friendly and encouraging to all and we hope that all people who desire to, will find a place in our church family. During Summer Goodlife Community Church has been meeting on a Sunday at 8.15am, 10.00am and 5.00pm. Everyone is welcome! 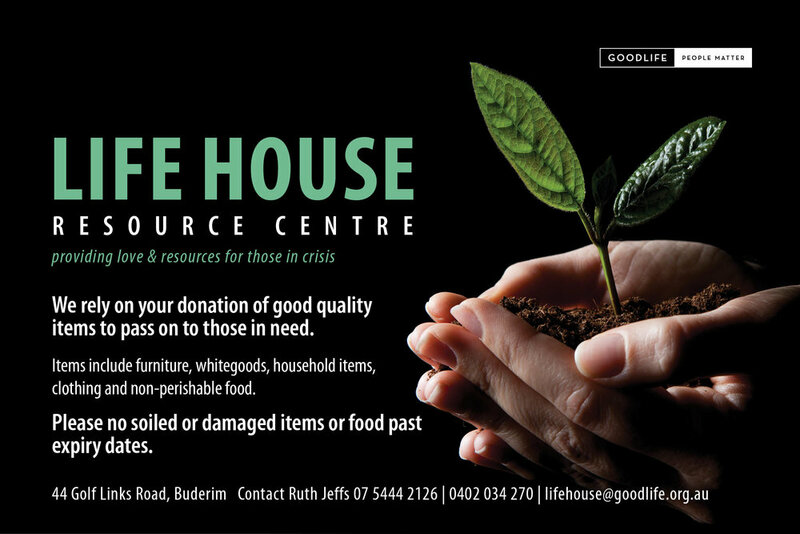 All services run in the stadium at the Goodlife Community Centre, 100 Buderim Pines Dr, Buderim. Kids and Youth church runs concurrent to the 10.00am and Little Angles and Creche facilities are also available during 10.00am service. You are always invited to come between the two morning services at 9.30am and meet some great people over a cup of tea or coffee. If you are new to Goodlife and would like to receive our church weekly email with updates on all that is happening follow the link and fill out the form. To listen to the messages each week click the link below. We love to spend time together and so we invite you to join us on the third Sunday of each month for our Sunday Table. Stay after the 10am and 5pm service to enjoy some food and fun. Offering boxes are located at the stadium entrance on Sundays. Special offering envelopes are available on the information board and at the connect desk. If you prefer the convenience digital giving from your phone we invite you to download our app. The app is safe and secure and allows you to set up recurring tithe and offering, general giving or as the opportunities arise specialised giving, like Missions, Thanksgiving Offerings and other campaigns. Each time you give you will receive a detailed receipt of your giving via email. Once you sign up for the app you will be taken to a landing page where you can give or see Regular Happenings. Please make payable to Goodlife Community Baptist Church. If using internet banking and your offering is for a specific purpose (eg.missions or community event) just put a brief explanation in the ‘description’ field so that we can allocate your gift to the correct fund. We believe that we, as people, are better together. Joining an interest group is an easy way to do something with other people. At Goodlife, we have a number of groups available. Click on the link below to see the full list or to sign up to be part of the fun! A full list of groups is available in a drop down menu at the bottom of the sign up form. If you have an idea for a new interest group we would love to hear from you! Please contact Daniel Gettis or Ryan Smith with your suggestions in the email form at the bottom of the page. The Holy Spirit has given each person one or more gifts to use for the good of others. Every gift is good and important. Our desire is for Goodlife to be a place where everyone can grow into and use the gifts God has given them. As we all learn to use our gifts this place truly becomes an even more vibrant and healthy place for others to connect with God. Click on the link below to take the spiritual gift test.